The complex and highly emotive issue of voluntary assisted dying will be front and centre as one of the key social, community and political issues in Queensland in 2019 and 2020 with the state parliament examining the issue and canvassing the views of Queenslanders. The public could be forgiven for thinking the debate and the issue is progressing rapidly on the list of political priorities, as states and territories around Australia test the opinions of voters for change. Victoria has already passed voluntary assisted dying (VAD) laws (in 2017), which take effect from June 19 this year allowing doctors to assist people with a terminal illness (where death is expected within six months) to take their own life. Every other state, including Queensland, has either come close to legalising VAD or is in the process of holding inquiries and reviews of their laws. The Northern Territory and Australian Capital Territory are both constrained by the Commonwealth, which last year narrowly rejected (by two votes), attempts to give the territories the legal right for their legislators to reconsider their local laws. Queensland has followed an unconventional and surprising path to its own state inquiry into aged care, end-of-life and palliative care and voluntary assisted dying. Rewind 12 months ago and Premier Annastascia Palaszczuk went on the public record as saying reform of VAD laws “weren’t a priority” in this term for the state ALP Government. 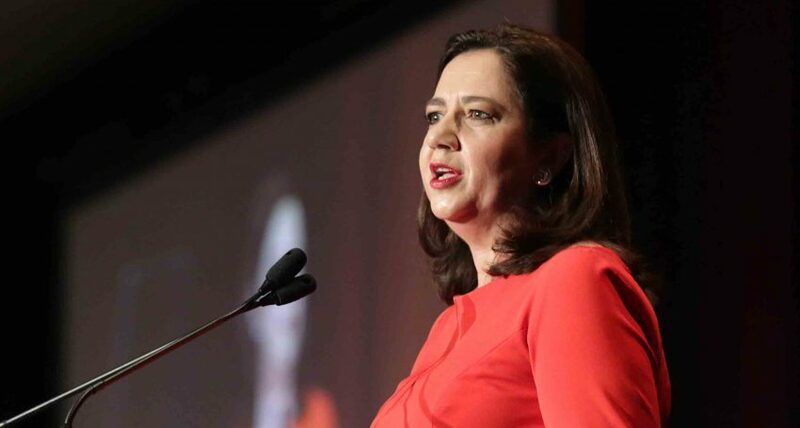 But just a few months later, the Premier was announcing to the ALP state conference in September that she had fast-tracked a Queensland Parliament inquiry into the laws. Ms Palaszczuk cited her personal experiences with family members as the reason for the sudden change of heart, recounting the “beautiful but horrific” death of her grandfather as a pivotal part of her decision-making. “It was beautiful to be there, but it was horrific. I want to talk to medical professionals myself, see what the committee comes up with. I honestly have not made a firm decision on how I feel,” said the Premier last year. The inquiry is being conducted by the Health, Communities, Disability Services and Domestic and Family Violence Prevention Committee (this is the title for the committee as constituted by the Parliament many years ago – it was deemed to be the most appropriate panel to conduct the review). Interestingly, the ‘Pro-VAD lobby’ is well-resourced and cashed-up to argue its case thanks to former Brisbane Lord Mayor Clem Jones, who left a dedicated bequest of around $5 million to advance the legalisation of VAD in Australia, motivated by his wife’s “slow and agonising death” following a terminal illness. The committee’s review began late last year with the release of terms of reference, which offered the public the opportunity to make public submissions to them with the deadline looming on 15 April, 2019. The first public hearings commenced in early April and the committee must deliver its report to the Queensland Parliament by November this year, which means voluntary assisted dying will be a prominent issue leading into the next Queensland election (due in October 2020). 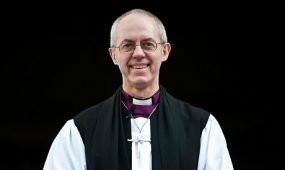 The Anglican Church Southern Queensland has lodged a submission with the Parliament which puts forward the position of the Diocese, as recently approved by Diocesan Council. The ACSQ submission also argues that respect for human life is not just a religious value, but a foundational value of all societies in which reasonable people would want to live. The life of each individual has an equal claim to respect, because the value and dignity of each person is not diminished by age, gender, disease, dependence or disability. ACSQ also argues strongly in favour of a significant increase in government spending on palliative care, with research estimating that 80 percent of people who die in Queensland would benefit from high-quality palliative care – which most people would prefer to be provided in their own homes surrounded by loved ones. Anyone wishing to provide input to the Queensland Parliament inquiry has until 15 April to make their own submission. So far, around 2000 submissions have been received and as of yesterday, of the 305 which had been submitted online 279 were in favour of voluntary assisted dying — around 90 per cent. Click on this link for more information and to make a submission which can easily be done with an online form, which is fairly straight forward. Read the ACSQ’s full submission.